Let’s say you accidentally delete a very important contact from iPhone 6, what would you do to get it back on your Mac? I bet most of you would rush to buy data recovery tool for iPhone at any cost. But sorry to frustrate you that most data recovery tools available on the market only work well in Windows system and don’t support the latest iPhone 6 Plus/6. Does that mean there’s no way out? Of course NOT! Tenorshare iPhone 6 Data Recovery for Mac is exactly what you need, which is specially developed for Mac users to recover 16 kinds of files (see the table below) from iPhone 6 Plus and iPhone 6. What’s more, it’s fully compatible with Mac OS X 10.10, 10.9, 10.8, 107, 10.6, 10.5 and earlier. 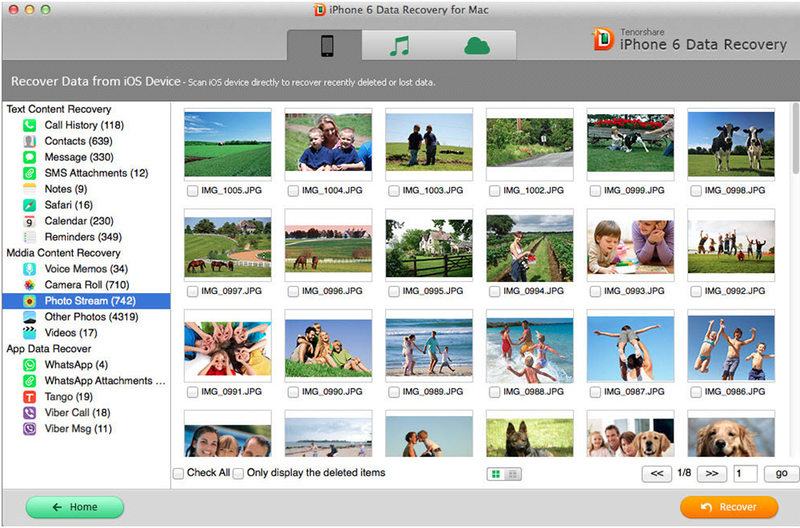 Recover Data from iOS Device: accidentally delete, factory reset or other misoperations without iTunes or iCloud backup. Recover Data from iTunes Backup File: iPhone 6 Plus/6 gets lost, stolen or damaged with iTunes backup. Recover Data from iCloud Backup File: iPhone 6 Plus/6 becomes inaccessible with black/white/locked screen or stuck Apple logo with iCloud backup. 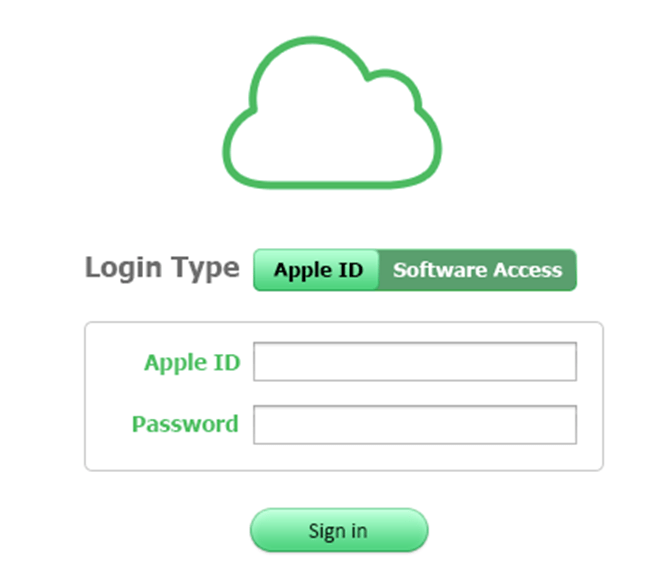 Note that both the 2nd & 3rd recovery modes empower you to freely preview the details in the iTunes/iCloud backup before selectively recovering them to Mac, which are totally different from the traditional way of restoring iPhone with iTunes/iCloud and its NEW feature Software Access enables you to simultaneously login to iCloud without entering password manually. Launch iPhone 6 Data Recovery for Mac and connect iPhone 6 Plus/6 to Mac. Choose a recovery mode that suit you and click “Start Scan”. Select your desired files and click “Recover”. Tips: The only shortage lies in that it supports iPhone 6 Plus and iPhone 6 only, for earlier version like iPhone 5S/5C/5, please click here.